Defence Turkey: Dear Mr. Orhan Geniş, first of all thank you very much for the interview. Could you please inform us about Honeywell Turkey’s office, its structure and activities? Honeywell opened its first Turkish office in Istanbul in 1992, with a staff of 10 people. It was the start of what was to become a successful 25 year growth story for the company that today has more than 300 people across three offices in Istanbul, Ankara and Izmir. Today all of Honeywell strategic business units are active in Turkey; which are Aerospace, Honeywell Building Technologies, Performance Materials and Technologies, and Safety and Productivity Solutions. Honeywell continues to experience high growth in Turkey, driven by growing demand for technology designed to maximize the performance and efficiency of industrial processes. We have extensive operations in Georgia, Azerbaijan, Turkmenistan, Uzbekistan and Kyrgyzstan. Istanbul is our headquarters for the Central Asia region and Central Asian countries come under my direct responsibility. These countries are all experiencing rapid urbanization, a significant rise in their middle-class populations, growing demand for energy and resources, and are making huge investments in infrastructure. Defence Turkey: What are Honeywell’s core capabilities, technologies and which products are focused on aerospace and defense? Honeywell has a long legacy in the aerospace and defense sectors. As a result we have a number of key capabilities and advanced technologies in this realm. Currently we are focused on connectivity. Connectivity in the battlefield creates a landscape of consistent and interconnected communication regardless of the type of platform or its location. With connected technology, an unmanned aerial vehicle can pass real-time data to ground forces and an aircraft can share tactical information with a tank. Our JetWave hardware, powered by Inmarsat’s Global Xpress Government Services network, allows for a variety of mission communication applications, including secure in-flight video conferencing, real-time weather data, and large file transfer and information exchange between platforms on the ground and in the air. Additionally, Honeywell has a suite of connectivity products that cater to defense helicopter operators to help them stay connected in flight, and offers predictive system information to keep them aware of potential maintenance issues and faults before they become an issue. Most recently, Honeywell introduced the Aspire 150 and 350 satellite communications systems. These systems reduce the impact of rotor blade interference and provide helicopter operators with high-quality connectivity. Defence Turkey: Mr. Geniş, Honeywell successfully completed its 25th year in Turkey. We know that Honeywell considers Turkey to be one of the emerging and growing industry markets. In this context, what would you like to say regarding Honeywell’s current position in Turkey’s industrial development from energy to health, transportation and defense industries, as well as the new opportunities and technologies to strengthen this cooperation in the upcoming period? Turkey is an important market for Honeywell – it is the bridge between Europe and Central Asia and one of the company’s “High Growth Regions” (HGRs). Our technologies are used in several of Turkey’s ‘smart’ oil and gas refineries, making them safer, smarter and more efficient. We support the country’s military aircraft fleets to improve mission performance and asset uptime and availability. Honeywell plays a crucial role in many of Turkey’s large industrial programs – from airports to high-rise buildings and rail infrastructure. Most importantly Honeywell is a proven local partner for Turkey, helping it meet its indigenous industrial growth objectives. We will continue to support Turkish industry, as has been the case for the last quarter century. In the future, we will deliver even more “Connected” technologies across Turkey’s most critical industrial sectors to ensure the country establishes itself for growth fueled by Industry 4.0 and the Industrial Internet of Things. Defence Turkey: Honeywell has over 23,000 engineers throughout the world, 11,000 of which are software developers. It is also expected that 60 percent of the company’s growth in the next five years will come from branches related to software. These are comprised of mobile applications, cloud-based software, cyber security as well as Industrial Internet of Things (lIoT) solutions that connect a vast number of hardware systems. Within this frame, how do you envisage adoption and development in the Turkish market in the upcoming period where Industry 4.0 becomes more widespread? How does Honeywell provide solutions to companies and institutions in this field? Honeywell is an established technology partner across many of Turkey’s most important growth industries, yet the potential for further growth, partnerships, innovation and investment in Turkey remains greater than ever. The reason for this is our rapidly developing focus on software, and the significant need of Turkey’s technology sector to capitalize on a new era of industrial innovation – Industry 4.0. The first such industrial revolution occurred in the late 1800s, as the use of water and steam power to automate manual tasks became mainstream. This was followed in the 1920s by the second industrial revolution, which saw the use of electricity to enable mass production. The 1970s heralded the arrival of the third industrial revolution – the dawn of the microchip. In this new computer-driven area, industrial companies were able to automate production and data processing for the first time and, in doing so could make their operations more productive and efficient. Industry 4.0 reflects an evolution of the computer era, combining robotics, data analytics, and artificial intelligence to blend the physical environment with the digital world. This is possible thanks to significant advances in computing power, increasingly high speed physical and wireless datalinks, and new capabilities in software. One of the main tenets of Industry 4.0, and the lynchpin of Honeywell’s modern portfolio, is the Industrial Internet of Things (IIoT). IIoT refers to the ability to achieve greater visibility of, and value from, operations by connecting the large number of hardware systems, or ‘endpoints’, that exist within typical industrial operations. The vast quantity of data these endpoints generate every minute is aggregated, and stored and analyzed either locally or remotely from anywhere in the world. By harnessing data in this way, IIoT enables industrial companies to unlock intelligence, or value, from their data, helping them lower costs, improve productivity, efficiency, security, and safety, and best position their operations for growth. Honeywell’s technology portfolio aligns to Industry 4.0. We provide the endpoints that manage, improve and collect data across an industrial operation. We provide the security systems that protect this data from cyber threats, and we also provide the hardware and software-based aggregation tools that interface with hardware and harness the data they generate. This is very valuable to our customers. Honeywell’s portfolio, long-standing local partnerships and sector knowledge, as well as our pioneering work in helping companies harness IIoT, combined with Turkey’s commitment to industrial innovation and growth, affords us a positive outlook for our next 25 years. In partnership with the biggest names across industry, we are committed to driving the adoption of IIoT across Turkey and look forward to helping many ambitious, fast-growth companies benefit from Industry 4.0. Defence Turkey: Honeywell is an important solution partner of Turkey in terms of software and hardware support in civil and military aviation. Could you please clarify for us the existing commercial airline clients as well as the scope of these collaborations? Today Honeywell is working in close cooperation with more than 30 commercial operators and MROs in Turkey. The scope of this cooperation varies from parts, software and service supply to Worldwide Channel Partnership, such as in the case of Turkish Airlines Technics. Defence Turkey: You have been offering your customers cockpit software and hardware solutions such as the Ka band JetWave high speed satellite communication system, 3D weather radar, traffic and collision avoidance system (TCAS), smart runway & landing system and ground proximity warning system; as well as engines and propulsion systems for fixed and propeller wing military and commercial aircraft platforms; and services and technologies such as maintenance, repair and upgrade services for commercial and military aircrafts in order to minimize malfunction time and to ensure that fleets continue to run smoothly. Can you touch on the requests from Turkey for your products and services in this context? Honeywell Aerospace technologies, products and services are found on virtually every commercial, defense and space aircraft around the world. Honeywell develops innovative solutions for more efficient aircraft; more direct, on-time flights and safer flights, as well as more controllable runway traffic. Alongside this our legacy in manufacturing aircraft engines, cockpit and cabin electronics, wireless connectivity services, avionics, and more shows our significant commitment to and expertise in the sector. As a specific example, all new generation Airbus NEO and Boeing MAX series aircraft ordered and operated by Turkish operators will be flying with Honeywell Auxiliary Power Units, showing the confidence Turkey has in Honeywell technologies. Defence Turkey: Honeywell is also allocating significant resources in SATCOM technology with the “Power of Connected” motto. You are also providing a distinctive service to end users by engines, Auxiliary Power Units (APU) or weather radar raw data collected via Honeywell solutions; afterwards this raw data is processed and can be transformed into essential data for the service supplier to reduce costs etc. What would you like to say about these services that can provide flexibility to both commercial airlines and military fleets in life cycle management and cost? What type of requests are you seeing for the procurement of such technologies and services in Turkey, as a market that is booming with each passing day in the aviation industry? Could you please discuss the current status and share your future expectations with us? Connectivity and Connected Aircraft are revolutionizing the aerospace industry. In two years, Aircraft connected though Honeywell products will manage over 150 TBs of data a day, which is equivalent to 300,000 movies. By 2025, around 25,000 aircraft will have Wi-Fi on-board. Connectivity, which is already transforming the world we live in at a fundamental level, creates a revolutionary opportunity to transform the aerospace industry. The incredible amount of data generated inflight is changing the way an airplane operates, from takeoff and landing to maintenance, making it smarter and more efficient. This revolution brings the opportunity to increase an aircraft’s flight efficiency, productivity, and availability as well as reduce its operating cost, while delivering a more comfortable, enjoyable, and safer experience for passengers. Connected Maintenance solutions help keep an airlines operations on song – improving on time performance and reducing delays. Honeywell is uniquely placed to leverage our extensive product portfolio and expertise in aircraft systems to understand and deliver a connected maintenance solution. By wirelessly connecting more mechanical systems, we are able to drive improved predictive analysis. This allows ground crews to identify components that will require maintenance or replacement before the aircraft lands — and ensure spare parts are available, if needed, ready for installation when required. For example, capturing and analyzing aircraft data on usage and wear enables Auxiliary Power Units, Wheels and Brakes to be more efficiently inspected, undergo more rapid and streamlined maintenance processes, contributing to lower costs. 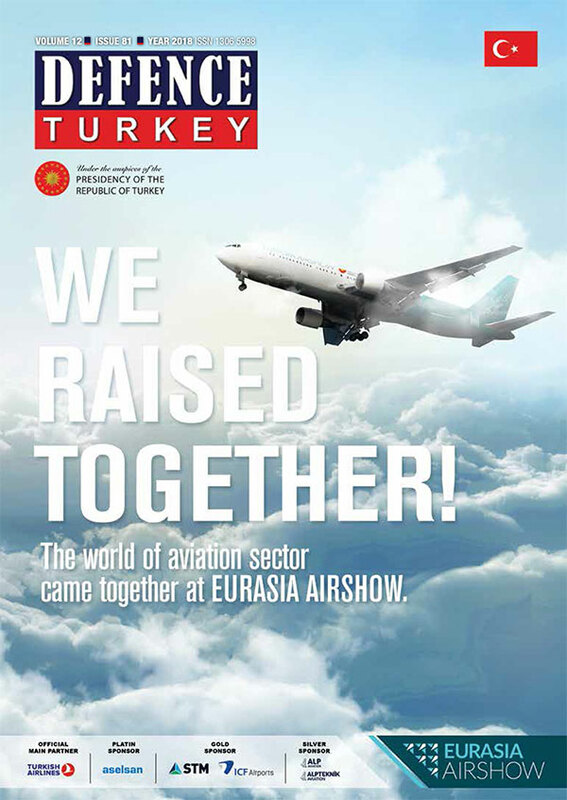 Turkey and Turkish operators are well-positioned in this game-changing technology to improve the operational efficiency, productivity and availability with an ultimate target of reduction in operational costs, all while achieving increased in-flight comfort and safety to enhance passenger experience. Defence Turkey: Mr. Geniş, regarding aftermarket, you had aspired to specifically collaborate directly with the end user in military platforms and systems. This was not actualized due to the FMS and G2G implementations in the previous period. With the corporatization of military factories, how do you anticipate growth in Turkey in this particular field? What would you like to say about the advantages of working directly with the end users? Corporatization means profit oriented thinking. Our value is improving both performance & efficiency. This will help us to grow in the market given that our aim is to share value that we generate with our customers. Defence Turkey: In the Turkish market, we see that you have adopted a growth oriented approach with strategic partnerships rather than a direct sales-oriented approach. Within this frame, how do you cooperate with companies, and which companies are you partnering with in the defense industry? We are continuously seeking further opportunities to work with Turkish companies to further develop our extensive avionics and mechanical portfolio. Defence Turkey: The joint production of Rolls-Royce’s and Honeywell’s LHTEC CTS800-4A engine was successfully performed and has been proven over the T129 platform. The procurement of T129 “Atak” helicopters, which will be delivered to the Land Forces Command according to the program schedule, are going on swiftly. Apart from this package, negotiations with the Naval Forces Command and the Gendarmerie General Command for the procurement of these platforms and engines were conducted.How is the export license approval process proceeding following the negotiations made with both commands and after the contract award with the Ministry of Interior? We haven’t faced any export license related problems. Defence Turkey: With the T625 Multi-Role Helicopter program, you are executing a very successful collaboration model with TAI. A contract was signed between the parties to purchase up to 10 engines in the development process, and part of these engines were already delivered according to the project schedule. Could you please inform us on the latest status of the program? This year is critical for the program because ground tests and flight test will be performed. From our contractual point of view, more than 50% of our work has been completed. Three engines have been delivered with three more to come this quarter. Defence Turkey: Mr. Geniş, we know that you have a long-term plan that incorporates different phases of industrialization of the aforementioned engines and the production of these engines with the local partners in Turkey. In order to attain affordable costs to be competitive in the production phases, the main contractors, SMEs and the subsidiary industry should be actively involved in this program. Especially for the engine to be non-ITAR, a robust eco system has to be established at the component levels as well. What kind of a model do you offer solution partners in this regard? We initially discussed only well-established and recognized local players for the part manufacturing. But have now extended our search to SMEs and we will conclude this initiative by the end of the year. If the SMEs are competitive there are potential opportunities for us to work with these local businesses. Defence Turkey: Under the leadership of the Undersecretariat for Defense Industries, crucial programs have been initiated recently, namely the Atak-2 (upgraded version of T129 Atak) and the 10-ton class unique General Utility Helicopter programs. This decision was publically declared last December. 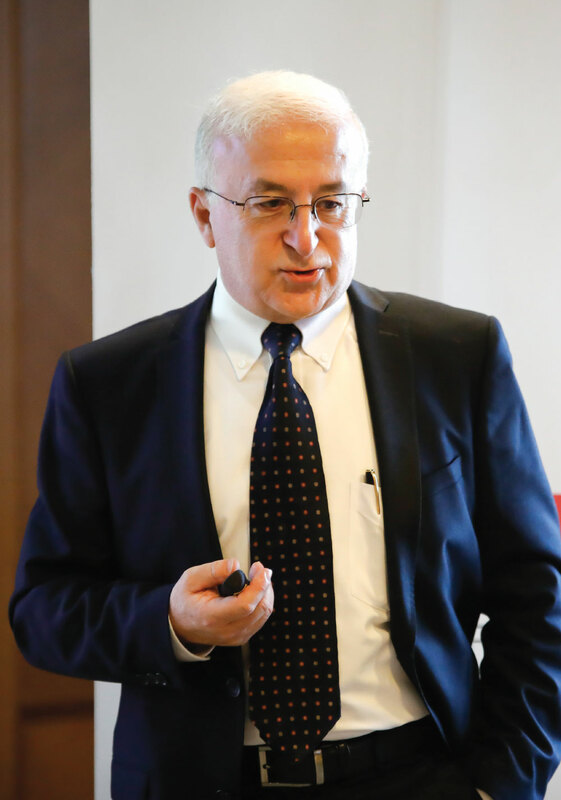 Within the context of this official statement, the Undersecretary for Defense Industries Prof. İsmail Demir also conveyed a significant message to international partners who are willing to be involved in this program and he said: “If you aspire to this program our door is open for this collaboration.” For Honeywell, that assumes significant responsibilities in the T129 “Atak” and T625 Multi-Role programs, how do you approach involvement in these unique national programs? Could you please share your assessments? Each new platform development brings us a range of opportunities. When the platform size increases and our incumbent solutions are no longer suitable we have a variety of solutions to consider for these larger platforms. Defence Turkey: What are your growth predictions for the Turkish market in the next five-years? Turkey is one of the high growth countries and the Turkish economy surged 7.4 percent last year, marking its fastest expansion in four years with robust growth in industry, services and construction. In parallel to GDP growth, we anticipate strong growth in the Aerospace market supported by both pillars, civil air transport and defense industries. Defence Turkey: Mr. Geniş, Honeywell has been involved in signature social responsibility projects in Turkey over the years. In this context, could you please inform us about your studies with academies and your social responsibility projects? Honeywell takes its commitment to Corporate Citizenship, protection of the environment, and creation of Sustainable Opportunity everywhere it operates. We have a serious and committed approach to responsible business practices and in making a measurable difference across the neighborhoods and communities in which we operate. The Honeywell Hometown Solutions (HHS) initiative combines focused leadership, financial support, and volunteerism to address local neighborhood needs where Honeywell can make a lasting impact. All HHS activities are aligned to at least one of five core pillars – Science and Math Education, Housing and Shelter, Family Safety and Security, Habitat and Conservation and Humanitarian Relief. We have an ongoing relationship with METU, the Middle Eastern Technical University, based in Ankara, which has provided technical equipment and industrial automation platforms to assist in the training of engineering students. Every year Turkish students and teachers attend the USA’s Space & Rocket Center in Alabama as part of the Honeywell Leadership Challenge Academy (HLCA) and Honeywell Educators @ Space Academy (HESA) programs. These have been created to inspire education and careers in the fields of science, technology, engineering and mathematics. Defence Turkey: Lastly, would you like to convey a message to the readers of Defence Turkey? Honeywell has a unique proposition based on three main elements. First, we have a vast and practically unrivalled domain knowledge spanning thousands of customers in a large number of industrial sectors, and a 125-year heritage on which to build.